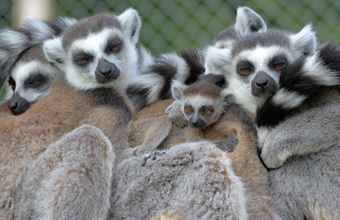 A rescued ring tailed lemur has given birth to a baby boy at Longleat Safari and Adventure Park. Mum Hasina and dad Julien are part of a troop of the playful Madagascan primates which live in a walkthrough enclosure at the Wiltshire safari park. Both were rescued as youngsters from unsuitable living conditions and given a new home at the park. The baby has been named Casper.